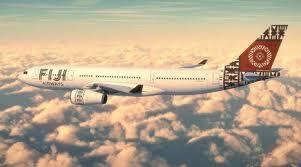 Airfare Alert: We have just received word this evening that Fiji Airways has put out a very short term airfare sale. There are the lowest airfares we have seen for Fiji in years. Fares are as low as $604 plus tax per person and you must book by Monday June 30, 2014. This fare is valid for travel 1-30 November 2014 or 15 February – 20 March, 2015. Hurry space at this price is very limited. A Fiji Airfare Sale such as this does not come around often.